If you’re thinking about investing in property, you probably already have quite a few people whispering in your ear. Individuals who tell you how easy it was for them, how simple it can be and how much money they made. Well, the first thing to remember here is that misery loves company. So, people telling you how great property investments are might not be quite as well off as you think. It’s entirely possible that they feel like they made a terrible mistake. However, this doesn’t mean that the investment is something you should avoid. But you may want to think twice about taking their advice. There are a few things you need to know about property that you’re not going to hear about from a fellow investor. If you know what you’re getting into and what you need to do, you can make a fortune from property. 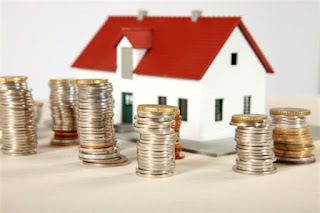 You will need help and assistance when you’re investing in property. First, you’ll need to make sure that you are buying the right place for the right price. To do this you should probably contact a real estate office. They will be able to advise you on the type of properties currently on the market as well as what you could afford. They might even be able to present you with investment opportunities that you might not be aware of. It is worth going through an agency at this point because they can act as gatekeepers, with the keys to some of the best possibilities on the market. They’re not the only help you’ll need either. You might be buying a property to let. If that’s the case, you’ll need a supplier that can provide you with the furniture to make it look like a dream come true to potential tenants. Think you can buy property investments with a poor credit score? Think again, because you will almost certainly need to borrow money to purchase your first new home. If you have a low credit rating, you’ll need to make sure that you improve it before you start looking at ways to get the money. Many people are unaware that the actual credit score isn’t that important. What matters is why you have a low score. If it’s due to the fact that you’ve never borrowed this could be the reason for your poor score. If that’s the case, you might still be able to get capital from a reputable lender. Any investment is a risk and don’t let someone tell you otherwise. You’ll typically be starting off by investing your own money, perhaps your savings into your venture. If it doesn’t work out you could stand to lose a lot of money. You have to know what you’re getting into and understand the worst case scenario here. This is the only way you can guarantee you have a way out if things do go south. You should always work with the worst case scenario investing in property, even when you’re hoping for the best. We hope you take this advice on board before you work towards the property investment dream. Remember, if you’re smart with this investment you can make millions.